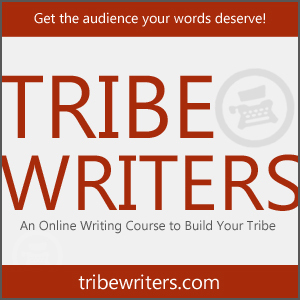 If you are new to this series of posts you can read the intro here. This post includes excerpts from the introduction and section addressing the established church. I’ve been blessed to witness some terrible leadership in my life…and there are people I’ve attempted to lead who could make the same statement. The top-down business model of leadership; a model which centralizes authority and power in a few individuals has always seemed (to me) to be at odds with the example of Jesus. Sadly though, it is all too present in our churches. The son of God, who has the rightful claim to authority, comes to earth and refuses to fight injustice in the halls of power; refuses to take public office…refuses to have health insurance, a savings account, a 401k or even a house! Jesus declares himself to be the servant of all and then backs it up by washing his disciples’ feet. Jesus declares himself to be in solidarity with the poor and then models it by living without all the “stuff” I can’t seem to go a day without. I’ve seen and participated in leadership models that are much more closely aligned with modern corporations and nation states than with the Master we claim to serve. For the longest time it seemed clear that something was broken, but I had no idea where to begin looking for alternatives. Supporters of the present system would declare that the options were either the status quo or anarchy. These are the choices, it is what it is. Pick one. It can be terrifying when leader makes a statement like, “I can no longer go up the mountain for you. I can’t carry you and I won’t march out front on my own. But I do want us to head up this mountain together.” Due to our programmed expectations of what leadership is and isn’t, the response to such a declaration may often be a fearful assumption that there is no longer any leadership for the community. This book locates good leadership within the ability to submit to Christ and also to one’s community. Leaders are a part of the community they seek to lead. This flies squarely in the face of what I remember being taught in seminary. We were told that as leaders we would need to cultivate a community outside of our congregation. Leaders, at least paid ministers, have no choice but to remain somewhat distanced from the membership of a congregation for several reasons such as the power differential that is present due to the authority of the office and of course the reality that we can be fired/laid off at any point. Such a viewpoint is poison to the cultivation of true community and the empowerment of people to follow Christ with their whole lives. 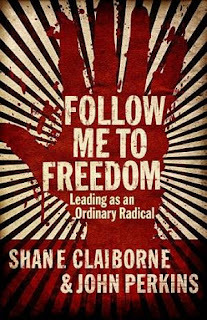 Follow Me is refreshing in its treatment of leadership because it rejects this disconnected approach without rejecting leadership itself. It doesn’t matter if we are a small group of committed disciples sharing life together, a team of missionaries working among skeptical neighbors or the pastor of a large church: we all need to hear this message about leadership. As movements become organizations, logistics and administration demand greater amounts of attention. Having served both as a domestic missionary and as a preacher for an established church I’ve seen both sides. That doesn’t let us off the hook though. Claiborne points out that as busy as Jesus was, he never lost sight of the people and the struggles that plagued them.7 We must remain grounded in our call to love God and love one another – more than we love (or focus on) programs, events, sermons, committee meetings, building projects, etc. These things aren’t wrong, but they can definitely distract us from the greater things. This book provides helpful encouragement for keeping ourselves grounded in community. Those operating within clearly defined structures may have less freedom or ability to change course or affect systemic change. Claiborne and Perkins understand this reality and remind us that, “leaders know how to nudge folks without pushing them.”8 However, the system doesn’t have to be officially redrawn before we can begin living out these principles. The leader that embraces the suffering of Christ, looks into the eyes of those in pain and chooses to act rather than duck into their office to study is a leader who is already beginning to change the system. Practically speaking there are tremendous opportunities for powerful leadership within established churches. Follow Me to Freedom, describes a beautiful picture of hope in the midst of chaos that results from communities that respond to crises and natural disasters. The resources of God entrusted to the established church can be brought to bear against suffering, but there is a need for leadership that not only talks about care for our neighbor, but makes preparation to respond when the needs of our neighbors become apparent. The reality is that it is too easy to hold back our resources for our own comforts and preferences. Perkins and Claiborne remind us that the task of the leader who is submitted to Christ is to lead the whole community in the process of continually resubmitting to Christ through both prayer and action. Posted on April 21, 2010, in john perkins, Missional church, missional monasticism, new monasticism, shane claiborne, smu. Bookmark the permalink. Leave a comment.